Brussels, 30 January 2019 - Today, the European Commission published its long-awaited reflection paper “Towards a Sustainable Europe by 2030”, which outlines its strategy for delivering on the UN Sustainable Development Goals (SDGs), including on the Paris Agreement on Climate Change. This paper is a welcome recognition that EU needs to considerably step up its efforts to fully live up to its international commitments and that in doing so it will bring a wealth of benefits for Europe and its citizens. The paper is a clear acknowledgement that Europe’s disproportional consumption of the world’s resources pushes the planet’s boundaries to its limits and that this cannot continue if we want to ensure wellbeing for all within the limits of the planet. SDG implementation at EU level must be a key priority strategic objective of the Council and the new Commission. This also includes a comprehensive strategy and continued mainstreaming of climate and biodiversity through all EU policy areas to improve policy coherence. 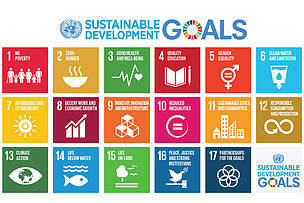 EU leaders have already called for a clear strategy for implementing the SDGs, so they must now endorse this option in their deliberations on what kind of Europe we want to see in the future.